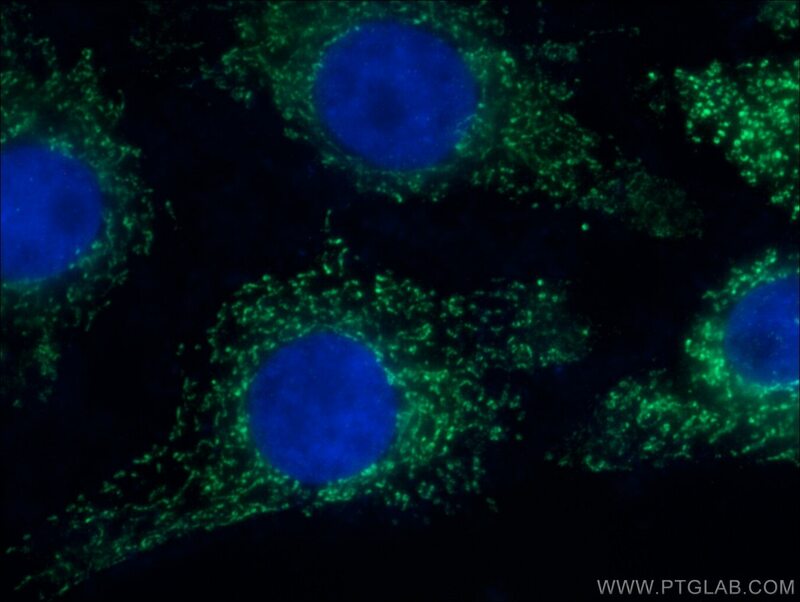 Immunofluorescent analysis of MCF-7 cells, using 11460-1-AP and Rhodamine-labeled goat anti-rabbit IgG (red). Blue pseudocolor = DAPI (fluorescent DNA dye). 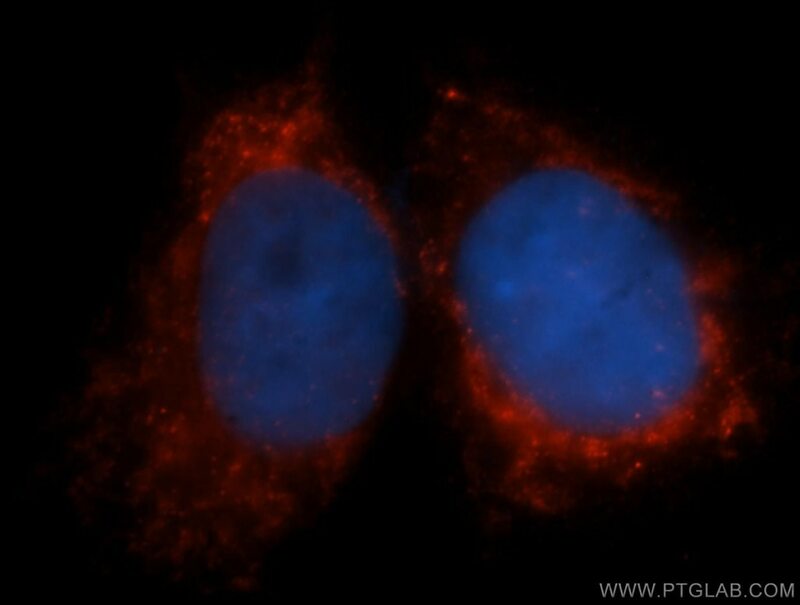 COX6A1(Cytochrome c oxidase subunit 6A1, mitochondrial) is also named as COX6AL and belongs to the cytochrome c oxidase subunit 6A family.This protein is one of the nuclear-coded polypeptide chains of cytochrome c oxidase, the terminal oxidase in mitochondrial electron transport. 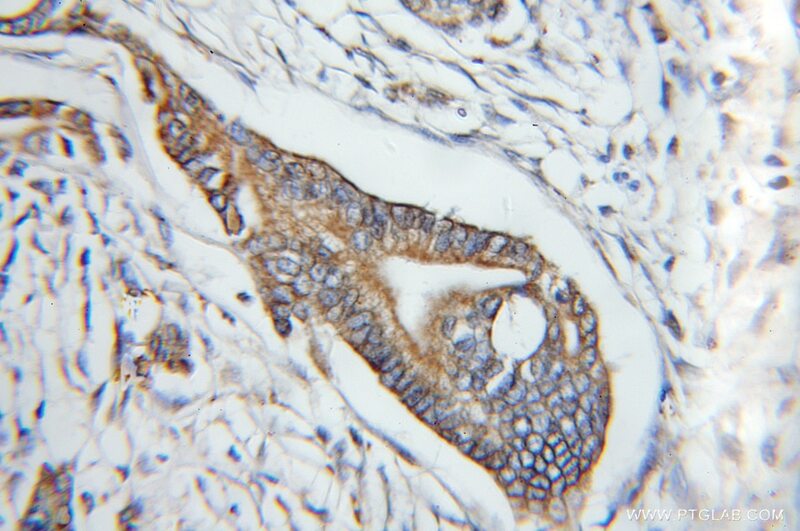 Megakaryocytic Differentiation of K562 Cells Induced by PMA Reduced the Activity of Respiratory Chain Complex IV.